Love them or hate them, rumors will never cease. With the next big thing just around the corner and everyone doing their best to second guess what the big thing to come out of the likes of Apple and Samsung will be, speculation and conjecture will always be on the tip of the internet’s collective tongue. Unfortunately it doesn’t always get it right. The latest to take a stab at dusting off the old crystal ball is blogger Sonny Dickson. Known for both his pinpoint accuracy and wild inaccuracy in equal measure, Dickson has now set his sights on what Apple will bring to market with the unannounced but nailed-on to be released, iPhone 6. If Apple’s is going to stick to its own unofficial release cycle then we’d expect an announcement around early September time, and Dickson claims to have the inside scoop on what it will feature. 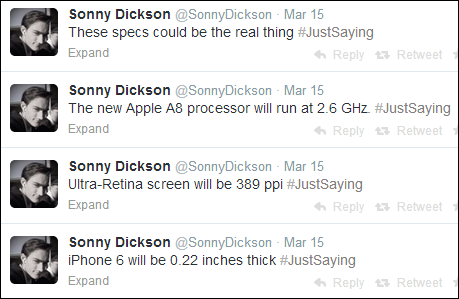 The first claim, shared with the world via his Twitter stream, centers around the iPhone 6’s physical size. More specifically, its thickness. 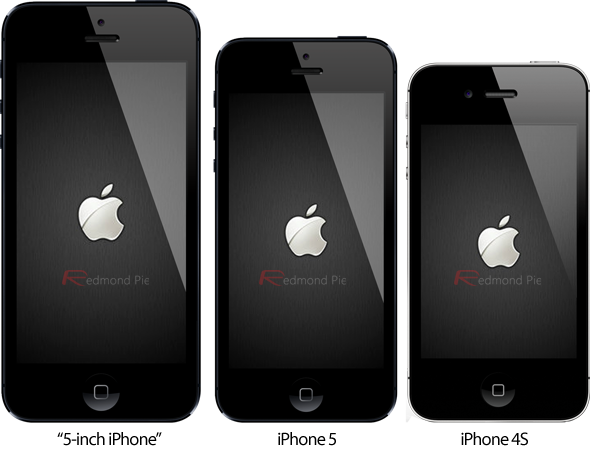 With the current iPhone 5s sitting at a rather slim 0.30-inches thick, Dickson claims that the iPhone 6 will shrink that down to an impressive 0.22-inches. Presumably the next step will be to just make the thing flexible. Beyond the thickness, Dickson also thinks that the new iPhone will feature an -Ultra-Retina screen, which would apparently mean a pixels-per-inch number of 389. There’s no word whether that increase in pixel density would be accompanied by a larger screen though, and that’s arguably the thing most are looking for from Apple this time around. Following on from those two tweets Sonny Dickson then turned his sights to the iPhone 6’s innards, with the existing iPhone 5s CPU set to be replaced by one considerably faster. The current model’s A7 chip ticks along nicely at 1.7GHz, but according to the tweet we should expect the A8 found in the iPhone 6 to clock in at 2.6GHz. That’s a lot of power to try and keep cool, let alone actually keep juiced. We’re not at all convinced by that one especially. We’ve still got quite a way to go before Apple tells us what it has up its sleeve, but with the leaks set to only increase over time, we’ll hopefully start to hear rumors that either corroborate or disprove Dickson’s claims.